Cucumber belongs to the Cucurbitaceae familiy. Its botanical name is Cucumis sativus (L.) and it is an annual herbaceous plant. 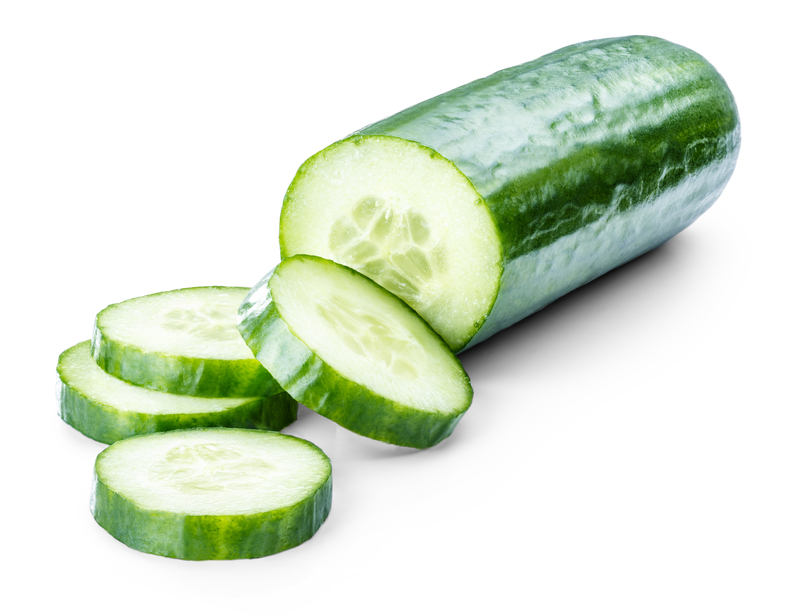 There are three main varieties of cucumber: slicing, pickling, and seedless. The cucumber is originally from South Asia, but now grows on most continents. Climate: If temperatures during the day oscillate between 20°C - 30°C barely have impact on production, although at higher temperature, higher early production. Above 30°C, imbalances that directly affect the processes of photosynthesis, respiration, and temperatures are observed. Temperatures below 16°C at night can cause malformations in leaves and fruits. Humidity: It is a plant with high requirements of humidity due to its large leaf surface. Optimum relative humidity of 60-70% during the day and 70-90% during the night. Soil: Any type of light textured soils, well drained and with high organic matter. It has a moderately salinity tolerance. Carbon dioxide in greenhouses: The optimum amounts of CO2 are 500-900 ppm. Cucumber assimilates foliar fertilizers quite well. It is a large consumer of Magnesium that will be applied via foliar. 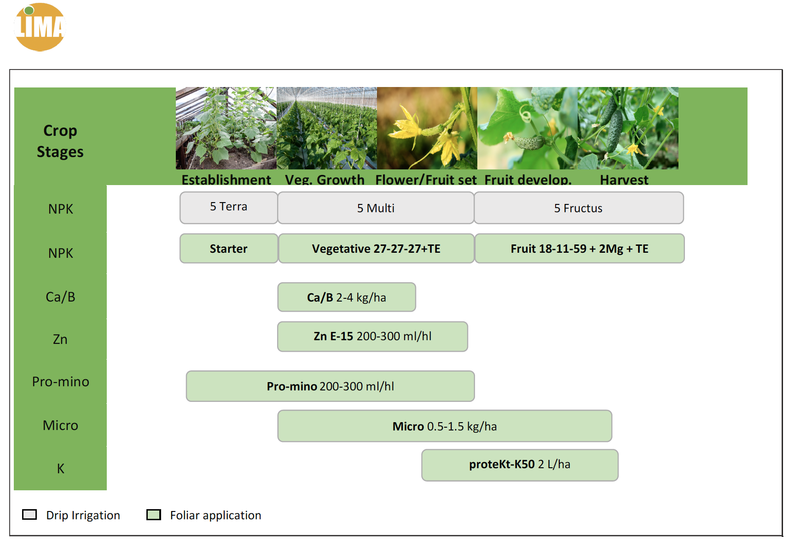 Nitrogen, Phosphorus, Potassium, Calcium are also applied via foliar.